The network comes down with word that it has renewed The Conners for a second season after the comedy brought in solid ratings for its first run. The show is of course a spinoff of Roseanne. The spinoff is among the top five new series of 2018-19 in both adults 18-49 and total viewers, so it came as no surprise that ABC re-upped on some more episodes. The show has a little bit of a shorter shooting schedule than most. Season one of The Conners only ran for 11 episodes, we have heard that the second season, now confirmed to go into production will be equal in length. They will only shoot 11 episodes because some of the cast members have already signed onto other projects. 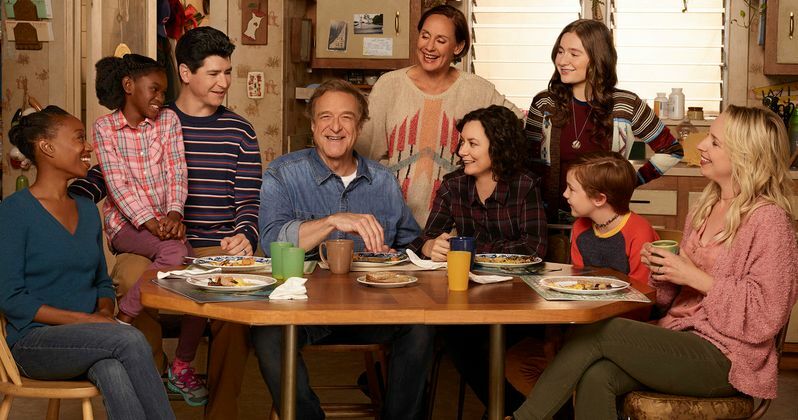 Stars Sara Gilbert (who's also an executive producer), John Goodman, Laurie Metcalf, Lecy Goranson and Ames McNamara are all included in the returning cast. ABC says additional cast members will be announced at a later time. The official renewal announcement does not mention Roseanne alum Michael Fishman or newer castmembers Emma Kenney, Maya Lynne Robinson and Jayden Rey, so we don't know as of now their status in the new season's shows. The announcement comes with a statement from president of ABC Entertainment Karey Burke. "We are proud to be continuing the story of the iconic Conner family. This team is fearless in their willingness to tackle contemporary issues with humor and heart, and I have no doubt they will continue to outdo themselves." The statement is very interesting itself because off screen ABC had a little more difficulty dealing with the contemporary issue of racism. The star of the original show that got the whole Conners ball rolling Roseanne Barr was shut down completely last year when she tweeted something horrible that many people considered racist. The cast of her massive 9 season original TV show dealt with all kinds of sensitive topics. There were many a discussion in many a household after an episode of Roseanne aired in the nineties. When Barr, who may have been high on Ambien, tweeted her now infamous comparison of Valerie Jarrett to Planet of the Apes, it rocked ABC Entertainment to it's core. The same executives who are now calling their assembled ensemble in The Conners crew "fearless in their willingness to tackle issues" were the ones who took most offense to Roseanne's tweet. The execs had what some consider a knee jerk reaction to Roseanne's errant tweet, firing her from her own show that carried her name. The show that the comedy star had brought back to life for ABC gutted her. That was over 10 months ago. Recently she went off onstage at the Laugh Factory in Las Vegas, getting out some of her feelings, venting about the ABC fiasco. It comes as no surprise that the successful new spinoff show was renewed because the ratings for ABC were very high. Burke had also already spoken of the show being pretty much renewed all the way back in January of this year. Now that they have all reached a deal that everyone can work with, ABC is happy to officially announce they will be producing another season of the comedy for us to enjoy. This story comes from Hollywood Reporter.